Following its success last year, the “Big Boss Summit” is now on its second run to influence and achieve breakthroughs on ENTREPRENEURSHIP. The “Big Boss Summit 2014” will challenge the entrepreneurs, business influencers, and company decision makers with high-impact interactive learning experiences, engaging views and innovative perspectives we are sure that every participant will be at best. Coming from a successful event last year, the “Big Boss Summit” launches its second run for this second year of influence and breakthroughs on – ENTREPRENEURSHIP. Early this year the campaign on entrepreneurship took a notch higher showcasing what the Filipinos are capable of. An entrepreneurial spirit soared high in the city of Bataan where its residents and common neighbors listened and learned about being a strategic successful entrepreneur. 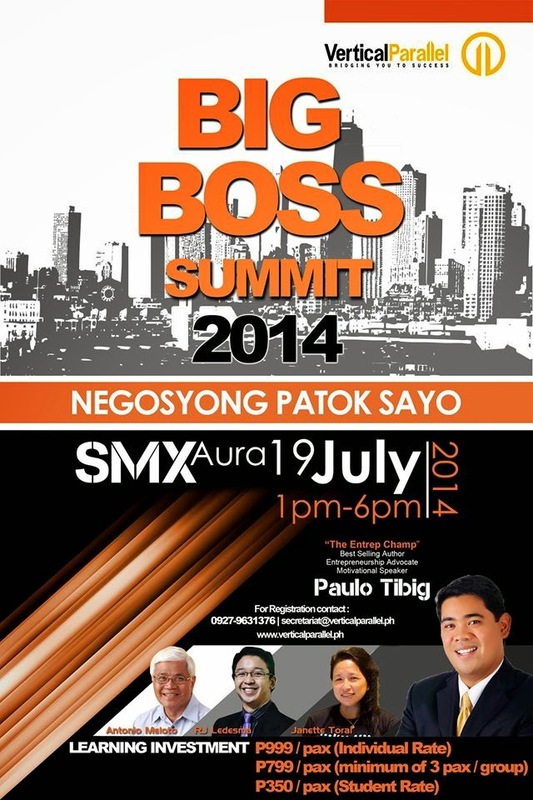 In this learning event, the “Big Boss Summit 2014” comes with six successful, expanding business operations together with its owners, and key persons that targets the six channels of the booming business here in the Philippines. 1. Retail Services - "Retail Services at Growth"
2. Online Marketing - "A New Business Platform"
3. Franchising - "Seizing a Franchise"
4. Food - "The Food Concept"
5. Agriculture - "One of the Country's Asset"
6. Social Entrepreneurship - "A Hope that brings Joy to Every Juan"
With this and more learning, we can now say that “It’s more fun learning and doing business in the Philippines”. Here is the fun part, two of my readers will get a chance to take part in this learning activity for free. Just follow the simple mechanics via Rafflecopter to join. This giveaway runs until July 13th. Winners drawn via random.org by the Rafflecopter widget will be announced on July 14, 2014 on this blog. Winners will be notified via email on how to claim their ticket. Love to attend this kind of event but for some reason, I cannot. Well, maybe in case I have free ticket, but that's maybe..we'll see. 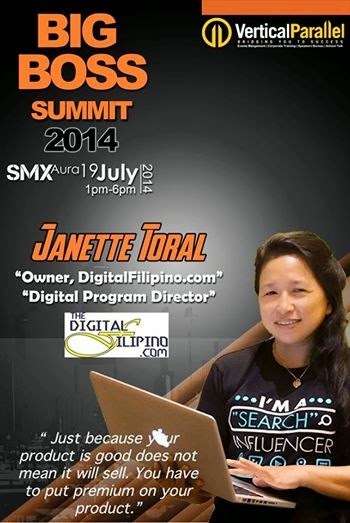 This is a really nice summit for entrepreneurs as it can help them do their business better. This is nice event, I wanted to join sana kaso I can't make it naman if ever manalo. #assuming hehehe! woudl love to attend this event too! will sure help me a lot! I'd like to join. It will be another good investment for the brain. Congratulations to the two winners! I believe they will learn a lot on this event.